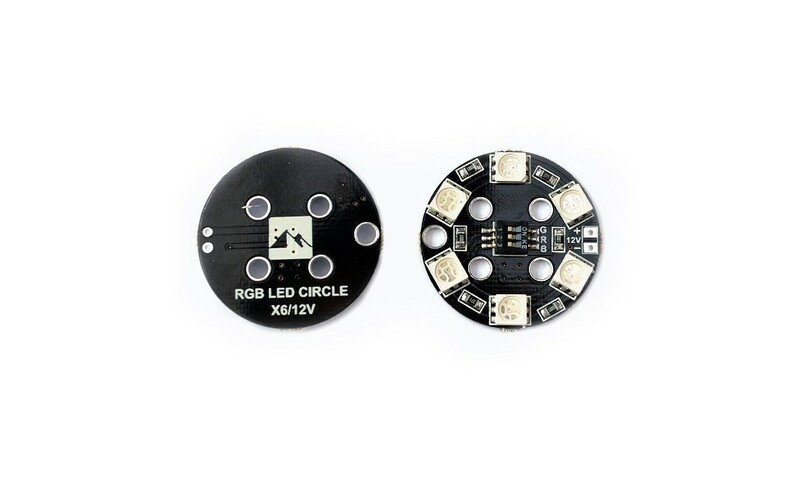 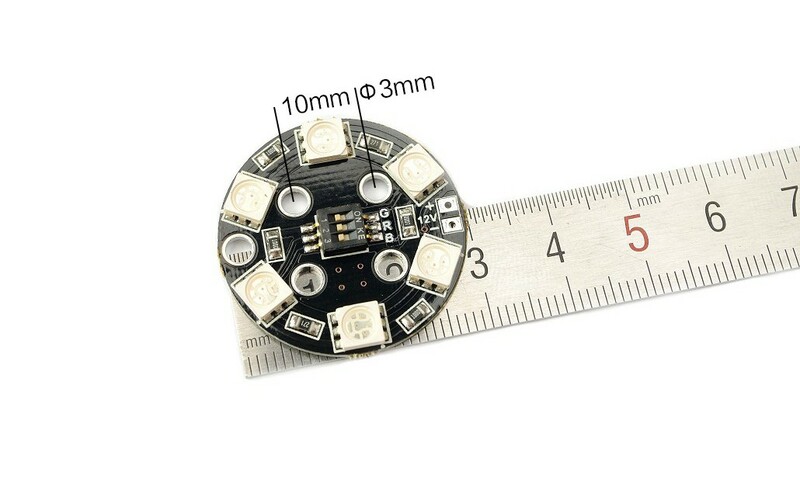 Matek RGB LED CIRCLE X6/12V comes with six RGB5050 LEDs & one code switch. 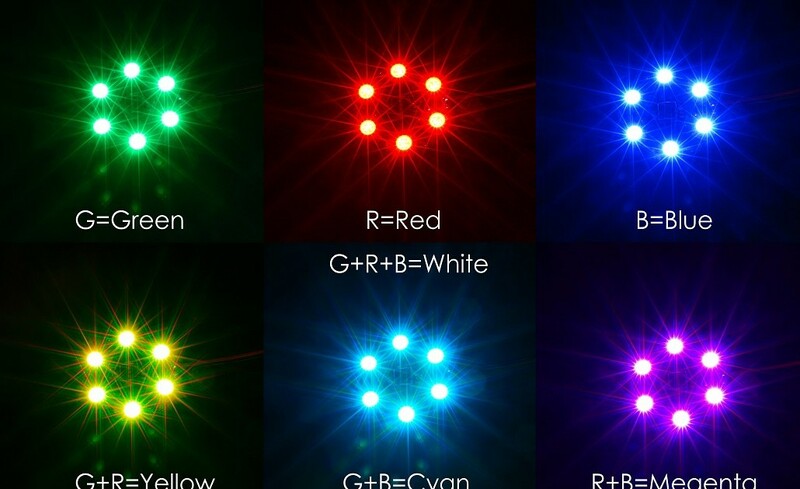 Seven colors are selectable by means of code switches. 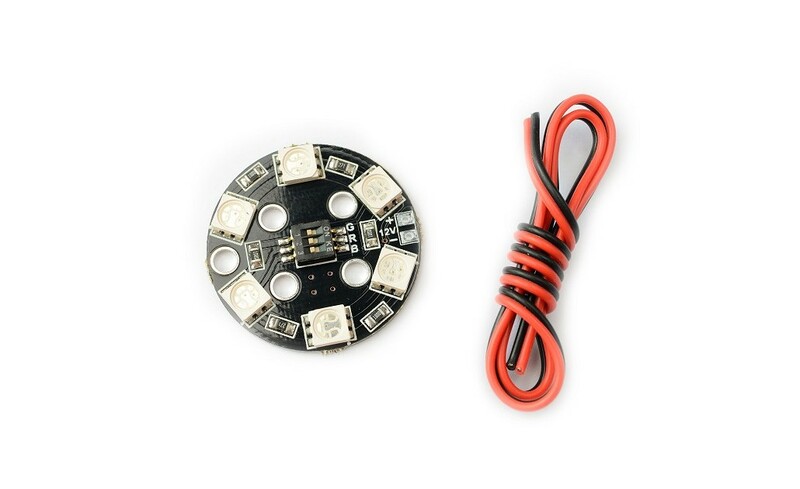 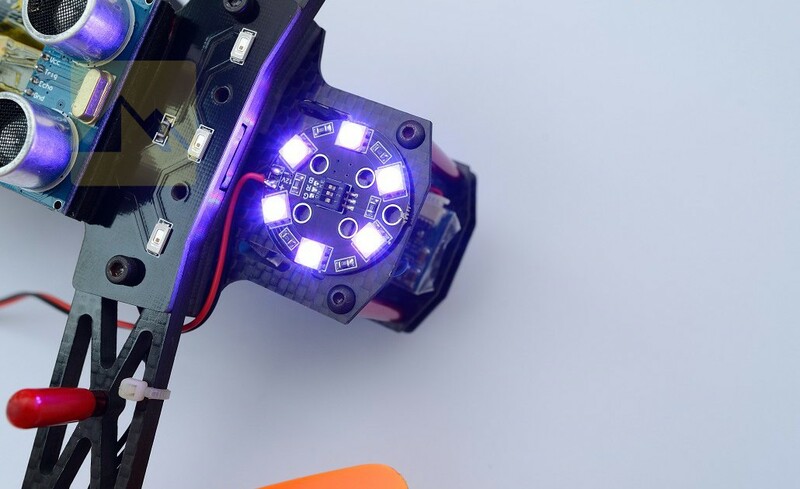 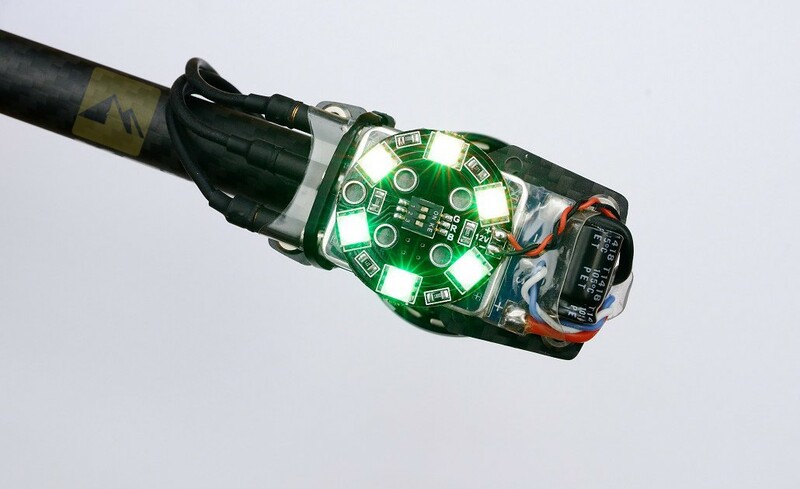 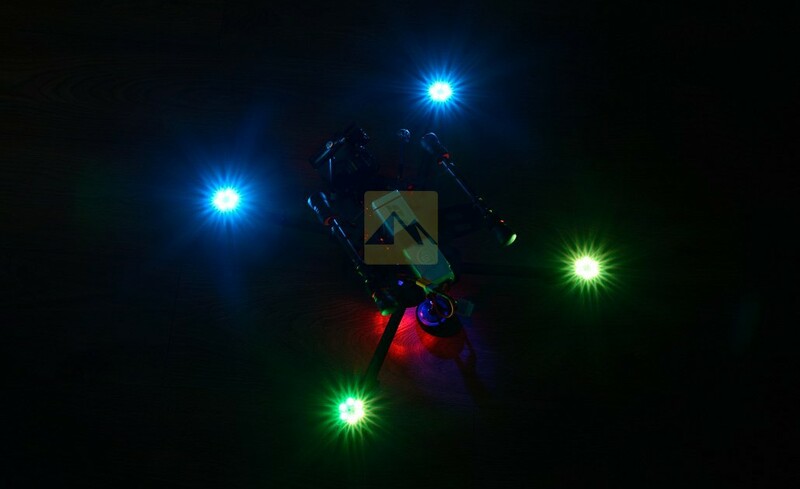 This LED board gives an eye-catching effect to your multirotors or planes when illuminated. 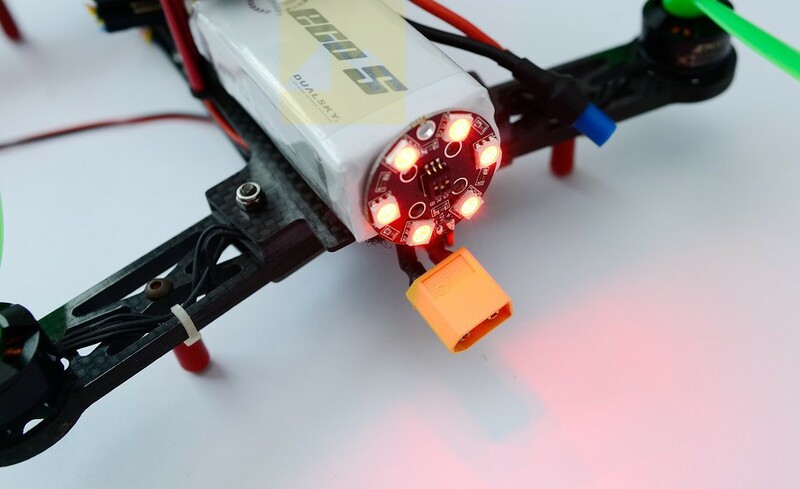 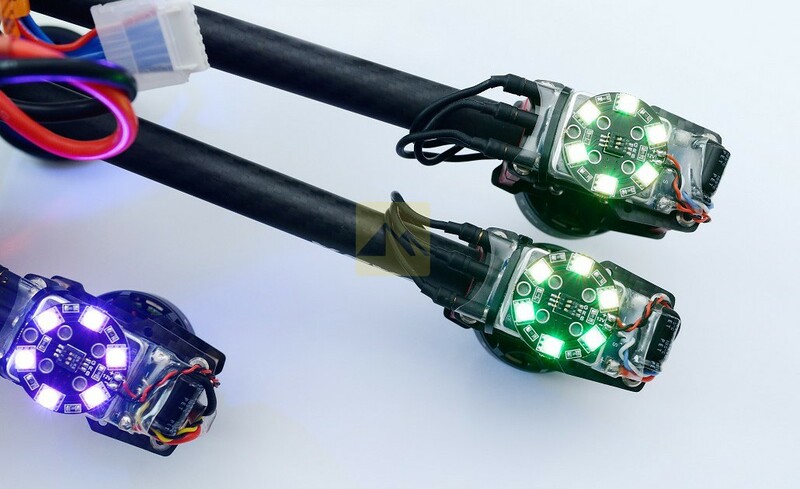 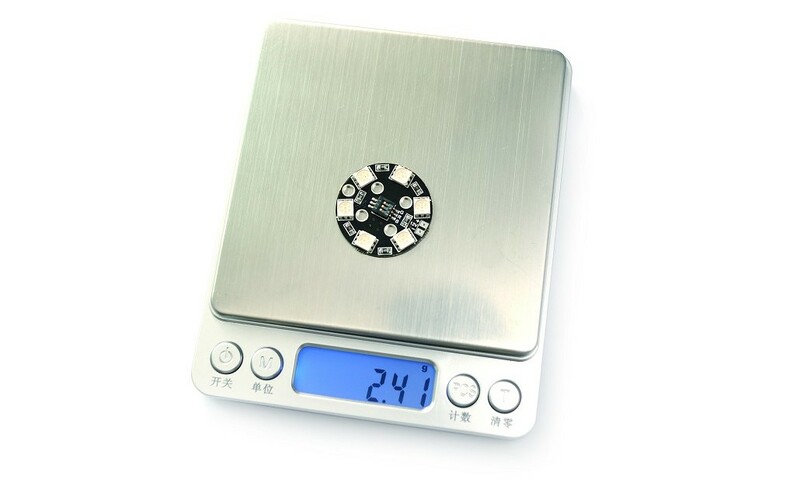 The input is in a range of 10~13V DC, can be powered by 3S Lipo or 12V BEC.